SHORTLISTED FOR THE MAN BOOKER PRIZE 2014. SHORTLISTED FOR THE COSTA BEST NOVEL AWARD 2015. WINNER OF THE ENCORE PRIZE FOR BEST SECOND NOVEL, 2015. The ageing patriarch and matriarch of his family, the Ghoshes, preside over their large household, unaware that beneath the barely ruffled surface of their lives the sands are shifting. More than poisonous rivalries among sisters-in-law, destructive secrets, and the implosion of the family business, this is a family unravelling as the society around it fractures. For this is a moment of turbulence, of inevitable and unstoppable change: the chasm between the generations, and between those who have and those who have not, has never been wider. Ambitious, rich and compassionate, The Lives of Others anatomises the soul of a nation as it unfolds a family history. A novel about many things, including the limits of empathy and the nature of political action, it asks: how do we imagine our place amongst others in the world? Can that be reimagined? And at what cost? It is a novel of unflinching power and emotional force. ‘Very ambitious and very successful. 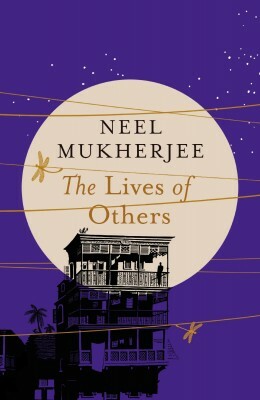 … One of Mukherjee’s great gifts is precisely his capacity to imagine the lives of others. … The whole of this world is brought to life with great skill … there are no longueurs, and no lingering on the text’s own cleverness, just extraordinary tact in knowing what we need to see and understand as we read. … Neel Mukherjee terrifies and delights us simultaneously.’ — A.S. Byatt, The Guardian. ‘An outstanding novel: compelling, compassionate and complex, vivid, musical and fierce.’ — Rose Tremain. ‘A devastating portrayal of a decadent society and the inevitably violent uprising against it … It is ferocious, unsparing and brutally honest.’ — Anita Desai. ‘A Seth-ian narrative feast with dishes to spare … a graphic reminder that the bourgeois Indian culture western readers so readily idealize is sustained at terrible human cost.’ — Patrick Gale, The Independent. ‘Brilliant … his command of storytelling is so astounding, he draws the reader into places they would prefer not to look.’ — Claire Allfree, Metro. ‘Masterful … His fierce intelligence and sophisticated storytelling combine to produce an unforgettable portrait of one family riven by the forces of history and their own desires.’ — Patrick Flanery, Daily Telegraph. ‘The writing is unfailingly beautiful … Resembles a tone poem in its dazzling orchestration of the crescendo of domestic racket. His eye is as acute as his ear: the physicality of people and objects is delineated with a hyper-aesthetic vividness.’ — Jane Shilling, New Statesman. ‘Rich and engrossing … Consistently vivid and well realised, it confidently covers a great deal of varied social terrain. … Unfailingly interesting.’ — Theo Tait, Sunday Times. ‘Full of acute, often uncomfortable and angry, observations, The Lives of Others is a picture of a family in all its disunity, and beyond it a city and country, on the brink of disaster.’ — The Times. ‘Brilliant’. 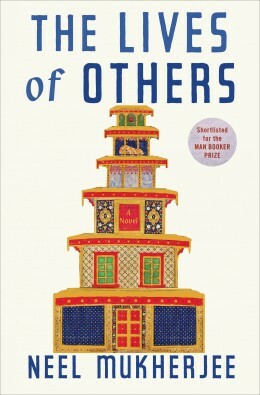 — Alexander Gilmour, FT.
‘Deeply affecting and ambitious … In startling imagery that sears itself into the mind, The Lives of Others excellently exposes the gulf between rich and poor, young and old, tradition and modernity, us and them, showing how acts of empathy are urgently needed to bridge the divides.” — Anita Sethi, The Observer. ‘From shocking prologue to catastrophic finale, Mukherjee’s beautifully-written no-holds-barred saga is unapologetically gritty and twisted.’ — UK Press Syndication. ‘[T]his is a loud, extravagant firecracker of a book – stuffed with characters and pursued at a breathless pace. … The book opens with a desperate, gruesome bloodbath that will leave you speechless – and rarely lets up after that. Read it.’ — Lincolnshire Echo. ‘Haunting. … Mukherjee can recall Tolstoy in his ability to bring to life a diverse and expansive set of characters and to sharply evoke their interior worlds. … “The Lives of Others” is a sophisticated meditation on suffering that invites sympathy for characters who embrace violent ideologies as a result of injustice without ever vindicating the horrific violece they commit.’ — Hirsh Sawhney, New York Times. ‘Confidently expansive. … This is an immensely accomplished, steady-handed achievement, Victorian in its solidity, quietly enthralling in its insightful observation of the ties that bind.’ Kirkus (starred review). ‘This challenging epic has the scope of a political novel and the humanity of a family saga without sentimentality.’ Publishers Weekly (starred review). ‘Mukherjee’s scope is vast yet so intimately personal that it’s easy to imagine him donning different costumes for the characters as he composes their stories; perhaps literally walking in their shoes. How he accomplished such a wonderful feat is unknown. What is known is that this novel stands as a literary boon.’ — Donna Chavez, Booklist (starred review). ‘Formidable … I can’t recall a book that so potently conveyed the overwhelming and cruelly capricious influence of money on modern civilization since John Lanchester ’s “Capital” in 2012. Nor can I remember such a doughty vindication of the social novel’s continuing importance.’ — Sam Sacks, Wall Street Journal. ‘What’s dazzling about The Lives of Others isn’t just its scope or literary acrobatics but also its matter-of-fact humanity. … [T]he drama is intriguing and the final chapters are breathtakingly tense … It’s not until the unsettled but wholly satisfying end that the force of this journey hits you in waves.’ — Entertainment Weekly. ‘Finely observed … vivid.’ — New Yorker. ‘”The Lives of Others” is a masterfully written novel that asks difficult questions about family, history, social change and the extent to which we can ever really step outside our own lives. … Mukherjee’s historical tale is compelling, his use of language and metaphor is inventive. … One of the most thoughtful, well-written novels of the last year.’ — Julie Hakim Azzam, Pittsburgh Post-Gazette.